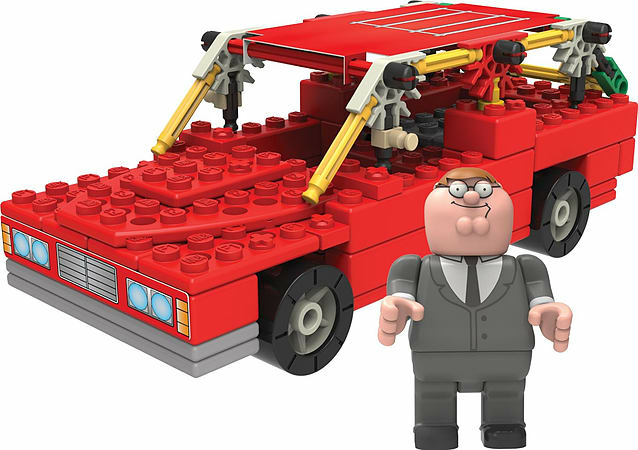 KNEX Family Guy - Pete's Station Wagon. 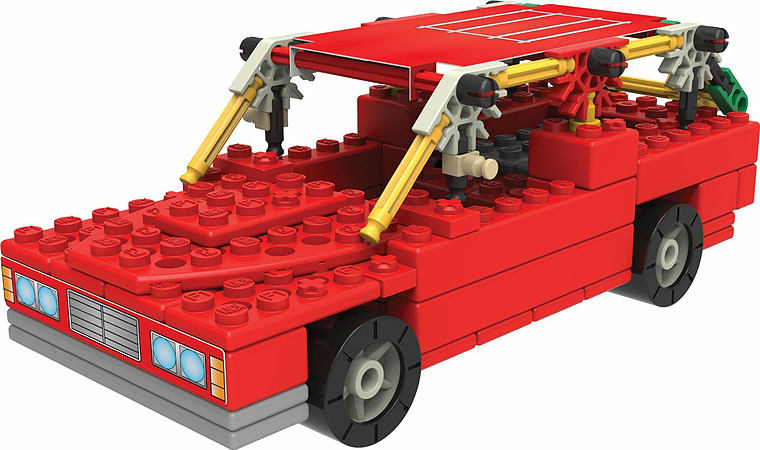 K'NEX Peter and Station Wagon building set. 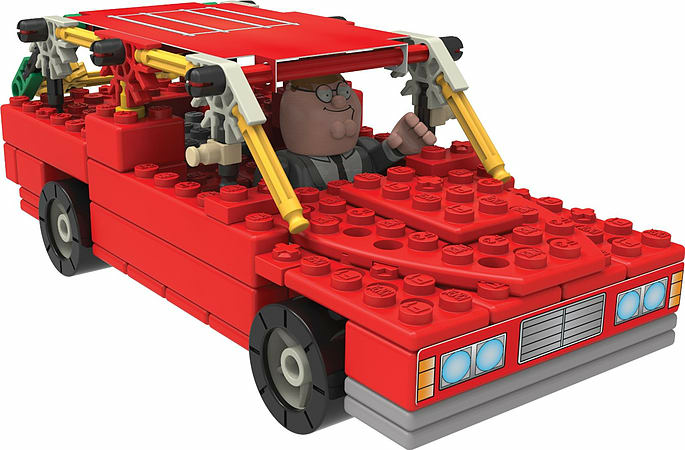 Build Peter in the family Station Wagon from the hit TV show family guy. 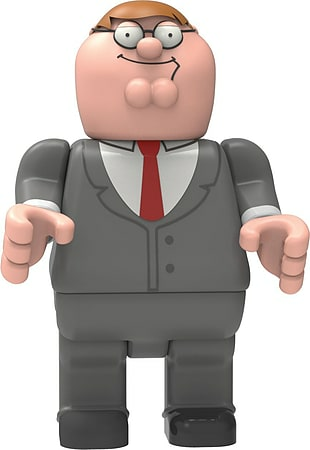 Includes a buildable Peter figure, dressed in his work suit, plus K'NEX rods, connectors and bricks to build a moving replica of the family's red Station Wagon from the show. Easy-to-follow building instructions are included.